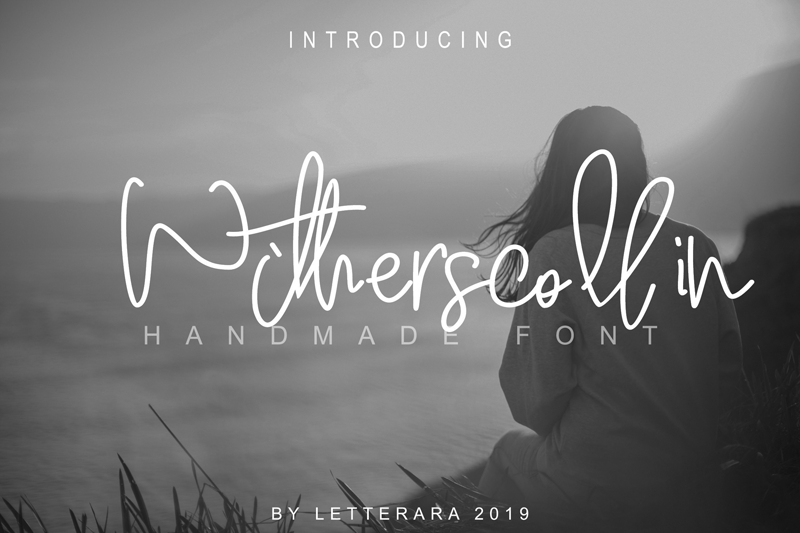 Witherscollin is a stylish unique handwritten font and easy to remember. It's great for unique branding, photo overlays, watermark, business card, invitations, wedding, photography, fashion, etc. This DEMO font is not contain all of its unicode glyphs, and for PERSONAL USE ONLY. GET THIS FONT ONLY FOR 1$ - LIMITED TIME!!! GRAB IT FAST!! !